Every family has its holiday traditions, from watching the game to prepping the turkey together. If enjoying the Philadelphia Thanksgiving Day Parade isn’t already part of your holiday tradition, maybe it’s time to change that. As the oldest Thanksgiving parade in the country, the Philadelphia Thanksgiving Day Parade has been around for nearly a century, and it’s been broadcast live for about half of that time. Head to the Ben Franklin Parkway or tune your TV to ABC to make this year’s parade part of your Thanksgiving tradition. 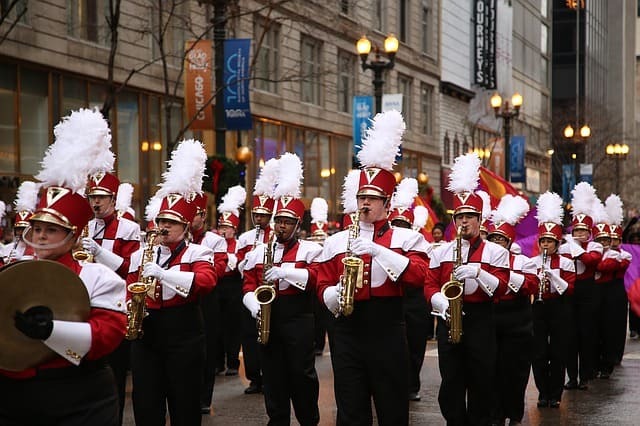 The parade begins at 8:30 a.m. Thanksgiving morning, but it lasts until noon, so feel free to sleep in and tune in whenever. If you want to actually experience the parade firsthand, snag a good spot along the Parkway (anywhere near the art museum offers a prime view) and watch while the vibrant floats, cartoon balloons, and local performers strut down the street.